He said he had been working 100 to 120 hours a week for the past 14 years. 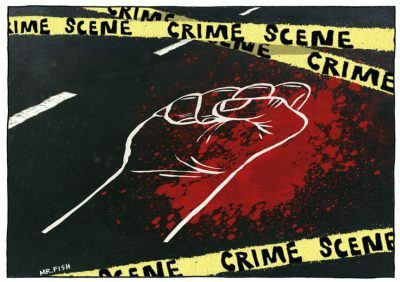 The corporate elites, which have seized control of ruling institutions including the government and destroyed labor unions, are re-establishing the inhumane labor conditions that characterized the 19th and early 20th centuries. When workers at General Motors carried out a 44-day sit-down strike in 1936, many were living in shacks that lacked heating and indoor plumbing; they could be laid off for weeks without compensation, had no medical or retirement benefits and often were fired without explanation. When they turned 40 their employment could be terminated. The average wage was about $900 a year at a time when the government determined that a family of four needed a minimum of $1,600 to live above the poverty line. The managers at General Motors relentlessly persecuted union organizers. The company spent $839,000 on detective work in 1934 to spy on union organizers and infiltrate union meetings. GM employed the white terrorist group the Black Legion—the police chief of Detroit was suspected of being a member—to threaten and physically assault labor activists and assassinate union leaders including George Marchuk and John Bielak, both shot to death. The reign of the all-powerful capitalist class has returned with a vengeance. The job conditions of working men and women, thrust backward, will not improve until they regain the militancy and rebuild the popular organizations that seized power from the capitalists. 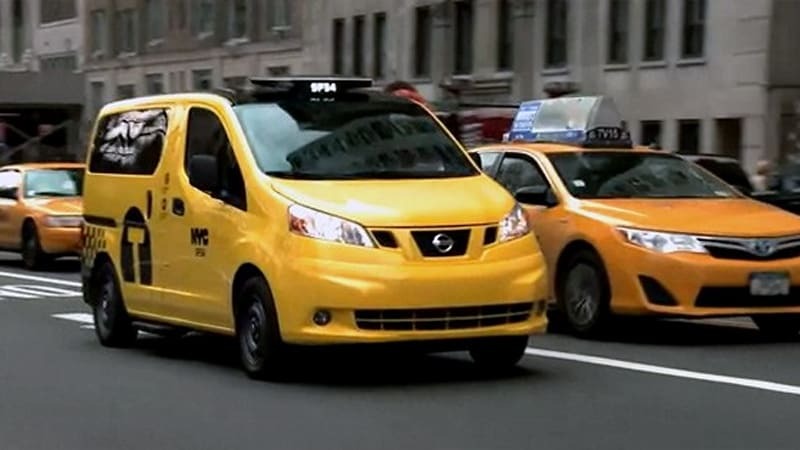 There are some 13,000 licensed cabs in New York City and 40,000 livery or town cars. The drivers should, as farmers did in 2015 with tractors in Paris, shut down the center of the city. And drivers in other cities should do the same. This is the only language our corporate masters understand. The ruling capitalists will be as vicious as they were in the past. Nothing enrages the rich more than having to part with a fraction of their obscene wealth. Consumed by greed, rendered numb to human suffering by a life of hedonism and extravagance, devoid of empathy, incapable of self-criticism or self-sacrifice, surrounded by sycophants and leeches who cater to their wishes, appetites and demands, able to use their wealth to ignore the law and destroy critics and opponents, they are among the most repugnant of the human species. Don’t be fooled by the elites’ skillful public relations campaigns—we are watching Mark Zuckerberg, whose net worth is $64.1 billion, mount a massive propaganda effort against charges that he and Facebook are focused on exploiting and selling our personal information—or by the fawning news celebrities on corporate media who act as courtiers and apologists for the oligarchs. These people are the enemy. Ochisor, a Romanian immigrant, owned a New York City taxi medallion. (Medallions were once coveted by cab drivers because having them allowed the drivers to own their own cabs or lease the cabs to other drivers.) Ochisor drove the night shift, lasting 10 to 12 hours. His wife drove the day shift. But after Uber and Lyft flooded the city with cars and underpaid drivers about three years ago, the couple could barely meet expenses. Ochisor’s home was about to go into foreclosure. His medallion, once worth $1.1 million, had plummeted in value to $180,000. The dramatic drop in the value of the medallion, which he had hoped to lease for $3,000 a month or sell to finance his retirement, wiped out his economic security. He faced financial ruin and poverty. And he was not alone. John McDonagh began driving a New York City cab 40 years ago. He, like most drivers, worked out of garages owned and operated by businesses. He was paid a percentage of what he earned each night. Leasing requires a driver to pay $120 a day for the car and $30 for the gas. The drivers begin a shift $150 in debt. Because of Uber, Lyft and other smartphone ride apps, drivers’ incomes have been cut by half in many cases. Cab drivers can finish their 12-hour shifts owing the garages money. Drivers are facing bankruptcies, foreclosures and evictions. Some are homeless. Uber and Lyft in 2016 had 370 active lobbyists in 44 states, “dwarfing some of the largest business and technology companies,” according to the National Employment Law Project. “Together, Uber and Lyft lobbyists outnumbered Amazon, Microsoft, and Walmart combined.” The two companies, like many lobbying firms, also hire former government regulators. The former head of the New York City Taxi and Limousine Commission, for example, is now on the board of Uber. The companies have used their money and their lobbyists, most of whom are members of the Democratic Party, to free themselves from the regulations and oversight imposed on the taxi industry. The companies using ride-hail apps have flooded New York City with about 100,000 unregulated cars in the past two years. Life for Uber and Lyft drivers is as difficult. Uber and Lyft use bonuses to lure drivers into the business. Once the bonuses are gone, these drivers sink to the same economic desperation as those driving yellow cabs. McDonagh said Uber and Lyft cars must be regulated. All cars should have meters to guarantee an adequate income for drivers. And drivers should have health care and benefits. None of this will happen, he warned, as long as we live under a system of government where our political elites are dependent on campaign contributions from corporations and those who should be regulating the industry look to these corporations for future employment.